Roasting Peppers is straightforward! The same technique applies to our anaheims, poblanos, jalapeños, and bells. It applies to most any pepper with flesh at least as thick as a poblano. Heat the oven to broil. 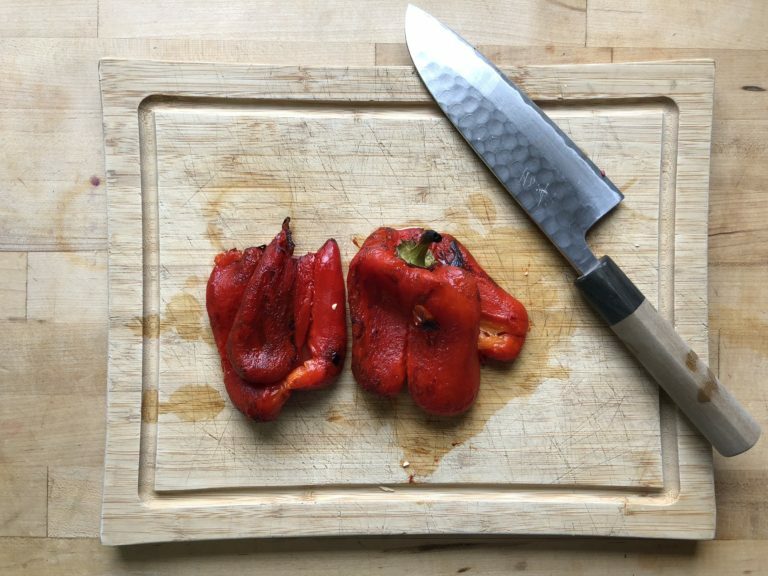 Arrange peppers on a rimmed baking sheet with a little space between them. Roast the peppers for 3-5 minutes until the skins blackens on one side. Use tongs to flip the peppers to expose another side for broiling. Repeat until all sides are blackened. Transfer the peppers to a bowl large enough to hold them all. Cover the bowl and set aside to steam until the peppers are cool enough to touch. Rub or peel the skins off. You can use the peppers right away or freeze them in zip top bags for future use!